Political Spin Removal: Is the Global War on Terror a Bumper Sticker? 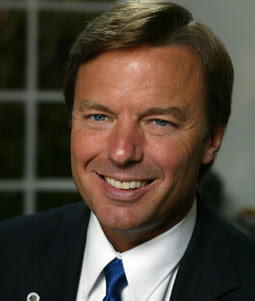 On Wednesday, 5/30/07, John Edwards told the Council on Foreign Relations in New York, "The War on Terror is a slogan designed only for politics, not a strategy to make America safe. It's a bumper sticker, not a plan." It is a slogan used to justify the war in Iraq and "bludgeon political opponents," he said. He repeated the bumper sticker assertion during the latest Democratic candidates’ televised debate, which is where I first heard it. Among fellow Democratic candidates, there is disagreement on the matter. Hilary Clinton and Barack Obama insist that there is a war on terror. The reaction from the right has been withering. According to Fox News.com, Republican candidate Rudolph Guliani replied, “"This global War on Terror is going on whether John Edwards recognizes it or not. It's not like it's controlled, there are people planning to come here and kill us all over the world." 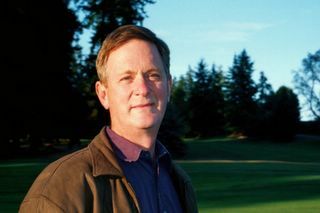 It is worthwhile to try and discern what Edwards meant. Yes, more than one. The wars in Iraq and Afghanistan are full-out shooting wars of serious consequence. I don’t think it is reasonable to suggest that Edwards was saying there is no war. Are there terrorists bent on harming the U.S.? Of course there are, as recent history proves. The day after Edwards’ speech, four men were arrested for allegedly planning to blow up a fuel pipeline serving JFK airport. It is not plausible to suggest that Edwards meant that there are no terrorists. And incidentally, those alleged terrorist plotters were not foiled by armed forces in full battle gear and blazing weapons. They were foiled by good police work. Are we in a war with terrorists? News people love war and the media is quick to label the slightest disagreement a “war”. The term is thus stretched metaphorically to the thinness of cellophane. That’s why we also have a war on drugs and a war on cancer. I recall a war on poverty too. Some years ago we had a war on inflation. I think we won that one. Those are all bumper stickers, not real wars. It’s pretty obvious that was Edwards’ meaning. There is no literal war on terror because “terror” is a victim’s emotional reaction to terrorist acts. If we were to literally attack terror, we would have to attack ourselves, since we are the ones terrorized. So that is nuts. What if we said there is a war on terrorists, those people who make us feel terrified? War is an armed conflict between nations or states, but the terrorists of interest are not obvious agents of any nation. If we wanted a literal war on terrorists, the obvious action would be to attack Saudi Arabia, since that’s where most of the 9-11 attackers came from and where bin Laden is from. But we’re not doing that because… well, you know why. So if you declare a “global war on terror” and act like you mean it literally, who are you going to shoot? “The enemy” is not defined. So you can shoot anybody you darn well please, and that’s why it is such a brilliant slogan. It justifies anything, as Edwards correctly pointed out. I admire Edwards for having the intelligence to see through the Bush administrations’ sloganeering (he may have read Lakoff’s new book on framing), and for having the political courage to reframe administration policy accordingly. However, it may have been a self-defeating gesture because most Americans are, shall we say, not quite that analytical, and will interpret his meaning to be that he does not take terrorism seriously, and that as a president he would not be committed absolutely to the safety of our country. Of course those are absurd ideas, but absurdity matters in our political system. Obama and Clinton surely also see the transparent cynicism of the “war on terror” slogan, but are astute enough to realize that their best strategy is to appear as fearless warriors, “tough on defense,” to counter a widespread delusion that Democrats aren’t. They see that there is no percentage in questioning the meaning of the slogan. The electorate cannot follow Edwards' linguistic analysis and they know it. So as much as I admire Edwards for speaking the truth, I fear it demonstrates his misunderstanding of the American voter and it lowers my confidence in his ability to win. He must be naïve because it is too early to be desperate for publicity. As due to "Awe and Shock,"
Proposed to be "on terror,"
The slogan is in error. So few are there who know. When men upon it act.